The venues listed have been approved by the London Borough of Richmond upon Thames for civil marriage ceremonies and civil partnerships. Several of these are situated near our beautiful parks and gardens, with some situated along the river Thames with access to the riverside. Many are able to accommodate your reception, so that your celebrations can be held in one location. 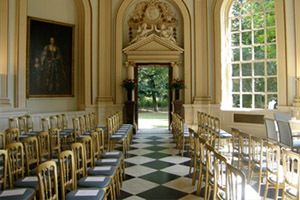 Ceremonies can take place in the Loggia room, the Salon, the Terrace room, or the Winter Garden, depending on requirements. We also offer an additional selection of rooms at York House which can be hired to suit your needs. 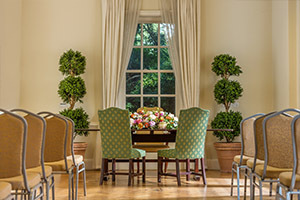 For a limited period, Richmond Registration Service is offering ceremonies in York House's magnificent Winter Garden room for a reduced fee. Situated within woodland overlooking the river Thames, Orleans House Gallery provides the peace of the countryside within an urban landscape for up to 60 guests.